Coffee maker for true fans! Play the hymn of your favorite team when the coffee is ready! An original idea to make every moment special. 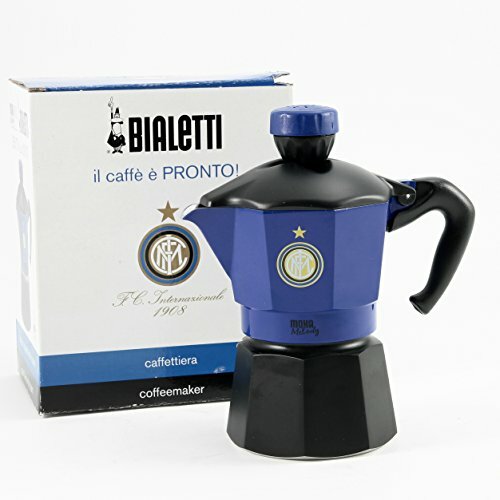 New BIALETTI Moka Melody 3 cups made using the patterns and team logos Italian major football! Moka Melody has the particularity to be issued, by the knob top, the song of the team that represents the mocha, the melody will be activated automatically when the coffee is ready!